Berries and Honey – Mt. 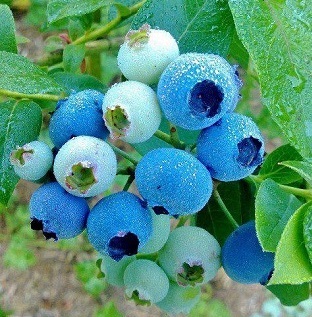 Baker Berry Co.
We offer no-spray Pacific Northwest blueberries grown naturally in near the Nooksack River including Elliott, Chandler, Aurora, Reka, Liberty and Spartan. We care for our plants using a highly-trained team that applies organic fertilizer, prunes to promote healthy growth and hand-pull weeds. We sell our blueberries in a variety of sizes including: pint, 3-pint and 6-pint flats. Volume orders are accepted, please contact info@mountbakerberry.com for customer pricing. Our Tilth-trained family beekeeper is responsible for ensuring that our bees thrive in our natural environment. Throughout the year, you can expect to discover honey produced from maple, fireweed, blueberry and blackberry pollen. 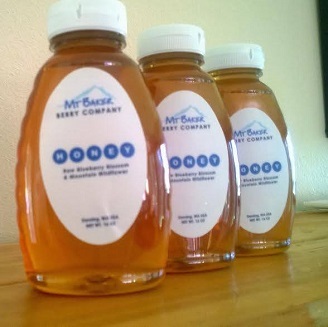 For your convenience, we sell our honey in 8-ounce and 16-ounce plastic jars. For those who love honey, we will also take customer orders during peak season (June to September). Learn more.